Are you looking for Nickelodeon Auditions in 2012 – well you have come to the right place. Looking for Nick auditions and cattle calls? many kids and parents are, yet many do not know where to go or hos to go about finding them. so here is what you do. First things first – Before you go on a Nickelodeon audition you must make sure you have the full permission of your parents! yes, that’s right. If you are under 18, you will need to have a parent or guardian help you. Now Nickelodeon does not have open casting calls like Disney and Disney XD do. To get an audition for a Nick show in 2012 or for one of the new shows they have in the works you will need to get yourself an agent. Most casting is done in Los Angeles, so if you live in other cities, especially outside the larger entertainment areas like L.A. and New York, you will need to get an agent that can get you into Nickelodeon audition in Los Angeles or New York. Here is a checklist of what you will need to get on Nickelodeon. 1. Get your parents permission and support. You will need help in securing an agent and an audition. Also, most agents and casting directors will not deal with minors because minors cannot enter into a contract on their own. Your parent will need to enter into the acting contract with you. 2. Practice, practice, practice. Agents and Nickelodeon casting directors are looking for kids who have talent, passion and can memorize their lines. When meeting with Nickelodeon casting directors they will expect that you have talent and can do some acting. They may ask you to read a script or memorize some lines. Casting directors need to know that you can handle the role and practicing your acting skills will prepare you better to ace that audition once you do get it. The last thing you want is to work hard on getting that tryout for the producers or casting directors and freezing up or not performing well. 3. Find a good kids acting agent. You will not need to pay for an agent upfront, agents will make money when you do and a good agent will send you to the Nickelodeon tryouts in front of the people who actually cast the Nick channel shows. 4. Practice with your monologue. Yes all actors will need to have a monologue ready. Most actors, kids and adults should have more than one monologue ready to go at any time. Having a great monologue that you have rehearsed repeatedly is a necessity and all good child actors should have this covered. Whether you are practicing a monologue for your Nickelodeon tryout or your Disney casting call in 2012, it does not matter. get it ready and be prepared to perform it whenever asked. Make sure that you use an age appropriate monologue and have a comedic and dramatic one under your sleeve. 5. Learn to sing and dance- These days kids that audition for top Nickelodeon and Disney shows are expected to be versatile and be able to sing and dance if asked. Many shows have scenes in them that require the child actors to not only act but also do some singing and dancing. So what are you waiting for? Go get a Nickelodeon Audition in 2012! Break a leg so to speak and prepare yourself for that 2012 tryout as best you can. Every year the kids network has many new shows in the works. Find a agent that has that information and will send you on those casting calls so you can tryout and go after your dream of becoming a child actor and a Nickelodeon Star. Need help finding an agent? take a look at how to find an agent. You can also look at the Disney Channel Audition tips page to get some ideas on what to expect at a kids tryout for a TV show. Hi, i’m Ilias, 13 years old, and live in Germany, Dortmund, Please write back, i can play football, sing, I’m a Songwriter. Hi my name is Fiona, I’m 11 and I live in Australia. My 2 fave shows are Victorious and Icarly. I love to sing and act. My fave singers are Adele, PSY and One Direction. I enjoy singing & acting. Overall my two favorite things. A dream of mine for oh so long now, going on two years. If I never take chances in life I will always wonder… what if ? I promise if I get this opportunity I will not let it slip away from me. Hi! my name is Jaila. I will really love to play a role in any show on Nick. I love acting and performing. I have 3 years experience in drama and am very focused when it comes to the work. I was once told that it was never too late to chase your dreams and I think this is the opportunity for that dream to come true. I’m a really great actor, give me a script, give me a day to memorize it. I’m a 14 yrs old male from Austin Texas. I’m on facebook at Tara Moll. I have curly hair, thank you!!!!!!!! My names Tara and I’m 12 years old. I’ve been in many talent shows and plays. I would love to be on nick because I love acting and me and my friends make movies and put them on youtube. I would love to be on a show! so please contact me and see if you could have me audition please and thank you!!!!!!!!!!!! I want to audition for icarly too. Hi, I’m Rachel I think I’m a really good singer. I’m quite flexible, 8 years old and I live in Scotland. I wish that during the summer holidays I can ask my dad if he can take me to America and audition. I know that seems selfish but we can have a holiday too. I’m normal for my weight. I’m smart for my age. I can read very good. I’m funny (well my friends think I am). I am a 12 year old turning 13 in a year. I took acting classes for 2 years and it was very successfull. I am a good actor along with a good singer, and I can dance a little. I am very sophistacated for my age. I can successfully accomplish anything I put my mind to. I honestly don’t have an agent, but I dont want to get one until I know I have absoulutly made it to the top. I honestly believe that if you gave me this chance to make it I would make a difference in the world and prove that children can make it to. Not just adults and teens. If you gave me this chance I would be the happiest person in the world. Everybody always tells me all the time to get her into some type of modeling/acting school so I figured this would be the best place to start! Malia has an amazing memory and remembers everything! She also has a passion for singing and sports! Hi, I’m Taj from Amarillo, tx. Acting is my dream. I would loved to be on your show. I really don’t have any experience but not to waste time I would love to get experience and to do what I love. I’m funny 5’4″ and 20 years old. I want to be in any show you got. My daughter wants to be an actress. I am supporting my daughter’s dreams. Hey I’m Liz. I live in California and I’m 11 years old! I LOVE WATCHING Victorious! My dream is to be on Victorious because this show is all about singing with passion, believe in yourself, have faith in you, and to believe in your dreams. I LOVE to sing. Singing is the only thing that speaks to me. I LOVE acting when you act you say your lines with feeling and I’ve been in a few school plays. In my entire life, I’ve never been of t.v. before with famous actors. I would LOVE to sing with famous actress Victoria Justice and Ariana Grande. I think I have a great personality for this humorous show. Plus, I think I should play for one episode. Tori’s little cousin Scarlet visits Tori because she wanted to hang out with her like they both did when they were little or I could play Beck’s little sister for a two part one hour episode. Beck’s sister Anabelle comes and visits Beck to celebrate her 12th birthday, every year Beck forgets his sister’s birthday, suddenly Beck got in a fight with Anabelle, so she runs away and Anabelle says she will never forgive Beck for doing this. Hello I’m Julian and I have a big passion for acting. I have experience. I’m 4’6, I have brown eyes and hair. I’m a good singing and great at dancing. Everything you need, I will make sure I have. I prefer Disney rather then Nick. Can you contact me about acting classes. Hi there! I’m Tyler and I live In Long beach, California. I absolutely LOVE singing and I really enjoy acting as well! I’ve been told I’m really funny and I love making people laugh. I’m very family oriented and I love being around my friends. I was in Drama Club in middle school and really enjoyed it. I love trying new things and I love a challenge! I know that I’m capable of doing this if I put my mind to it and I won’t make you disappointed. Hi my name is Cassie. I’m 5’2, african american, and I love to act. I usually am in small plays or something, but I think im ready to go bigger! Sorry I was born on September 25 I guess I pushed the wrong key. Hi! My name is Valentina Bernal and I live in Latin America (Colombia). This is my dream, to be a part of a Great Chanel like Nickelodeon. Hey my name is Christian and I live in the California. I am 13 born, 9-25-1998. I am a really good kid so you will have no problems with me at all. I will give you all one hundred and ten percent. I have dark brown hair brown eyes my weight is 75 pounds and still growing. My height is 5ft nothing.So really hope you guys will consider me. My name is Bryanna and I am 11 years old. I have brown hair, and brown eyes. I love to sing and dance, silly. I have been on lots of auditions and this would be my dream to be on Disney or Nickelodeon. Please contact me. My name is Artemis. I’m from Greece and i’m 14.
my name is Madison and I am a female. I’m from New York. I would really like to be an actor. I’m not asking for this chance for the money or fame, I just want to follow a dream. I’m 12 years old, I’m very outgoing and fun. I have dark brown hair and light blue eyes I have a pretty good tan. I think it’s easy to memorize script. My friends think I am crazy for even asking for this since there is a slim chance that I will be picked but i would really like it if you considered me. My parents support me in my dream. I am in the drama club at my school. I’m 5’6 and I hope you give me a chance. My name is Madison. I really want to act on Tv. I am White. I live in the USA. I have brown hair and Brown eyes. I am about 5 feet and I take classes for acting and can memorize stuff really well. Please consider me! Hello, my name is Brandon and I’m 13 years old. I am about 5ft 5in and I dont know if i would very good for this, but i would love to be on Victorious. I watch it all the time and it’s my fAVORITE TV show. I’m a pretty good dancer and I try and practice every day. I can sing a little, not a lot, but i can try and get better at it. I hope i can get hired to be on Victorious. hi, i am 11 years old and currently live in Massachusetts. I have always dreamed of acting and also singing ever since i was a little girl. I have always had a love for music. I currently act in the program South Coast Children’s theatre and sing in a program called Voices in Time. I have always wanted to be an actor. This is the only career I would want in my life. I do not want to be an actor just because I would be famous, it would be because I think this is what i was made to do. I have dirty blonde hair and hazel eyes. I would really like to have a career on Nickelodeon. I have been on television a few times with my singing group. My name is Anastasia. I really want to be an actress. I’m a hard working girl.My ethnicity is white.I’m from UK.I’m 13 years old (11.10.1998). It won’t be a problem for me to fly to USA. I’m dark haired with brown eyes and pale face. My height is 5ft8 1/5inch. I’m really good at memorizing, so I hope you will consider me. I’m 11 years old, and I’m really good at acting and singing. I get the lead roles in plays and think I’m ready to go to the next step… to be famous. I would like to be on any of the shows above and I have been acting ever since I was a little girl. My dream is to be on one of my favorite shows on tv. Hi im kayla im 13 years old, blonde hair, blue eyes and 5’5 or 5’6, and kinda average for weight. I would like to audition for a role in house of anubis. whatever it is speaking part, extra, anything just something that involves acting. I love acting. ever since I was a little girl I knew acting was for me. everyone I know says im always over dramatic or the family actress. so I’m just trying to live my dream and make it come true. am Legally Eligible to work in the United States. I’m a Bubbly, Hardworking, Polite and Confident girl so you wont be disappointed. hi my Name is Echa, I’m 14 from Jakarta(Indonesia). I love acting and want to be an actress. Indonesia to the United States is too far:(can you hold a casting in Indonesia? 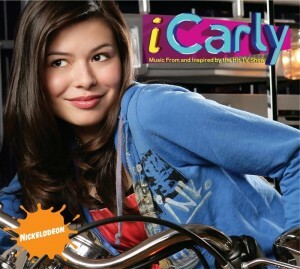 please, many people in indonesia want to play in iCarly or victorious! Hi,my name is jean and i would like to know if i can audition for a victorious episode.Victorious is one of my favorite shows. hello my name is Hallie Raye I am a female actress/ singer, musician, songwriter. I am 15 years old but I look 18, I can dance, ride horses, speak forign languages and have a great personality. I have light brown hair, green eyes, and I am 5’5. I am a very dedicated person and when I act or sing I put my whole heart into it. I would like to get a role in a show like Big Time Rush, or i Carly. I’m 5 foot tall i do not get embarrassed when im acting in front of people.